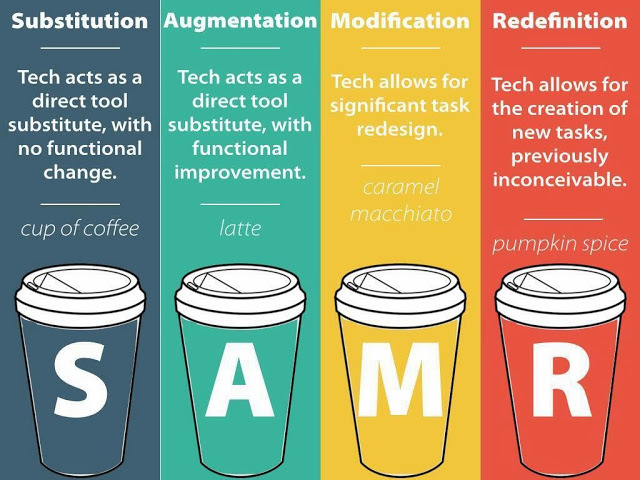 Since this blog IS the Kaffeeklatsch, I thought I should share some of the ways people have been using coffee analogies to explain the SAMR model. I cannot vouch for the analogies, but thought it was interesting this seems to be a common practice! The image below was created by Jonathan Brubaker and appeared in a blog post here. Email me with any other coffee analogies you find in the education arena!